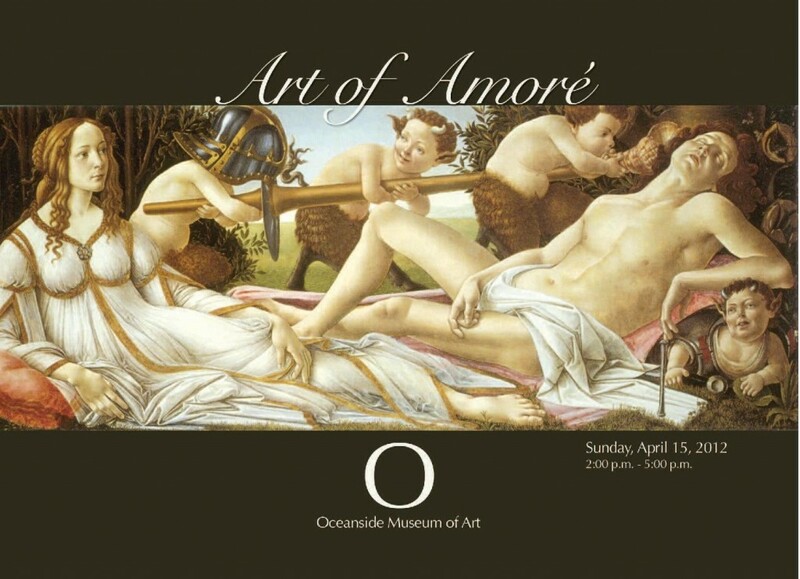 Oceanside Museum of Art is pleased to present Art of Amore, a new, innovative event designed to educate and entertain guests about the passion of love within the arts. Join us for an inspiring presentation on dynamic works throughout art history whose creations were inspired by love and passion. This special art lecture will incorporate vocal performances driven by the discussed artworks. 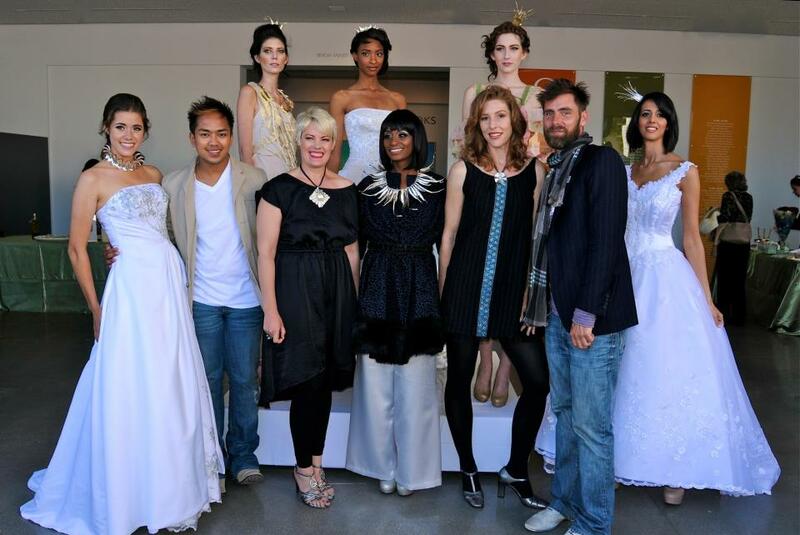 Couture fashion designers Stacy May and Kenneth Barlis and jewelry artist Alexandra Hart will showcase their work in a living sculpture display among the floral artistry of Isari Flower Studio. 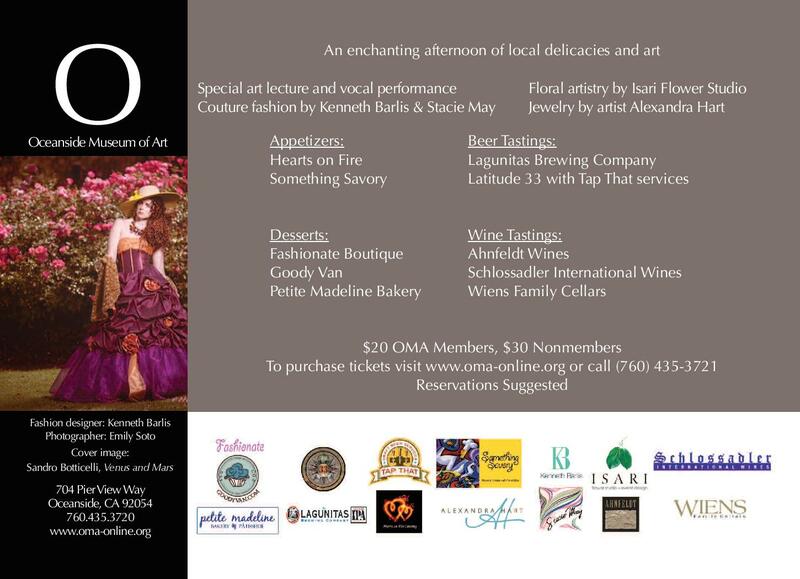 Guests will enjoy an open champagne bar, wine tastings by Ahnfeldt Wines, Schlossadler International Wines, and Wiens Family Cellars, along with beer tastings from Lagunitas and Latitude 33. Catering companies Hearts on Fire and Something Savory will provide a delicious sampling of savory appetizers, with Fashionate Boutique, Goody Van and Petite Madeline Bakery offering a delectable selection of desserts and pastries. I have rec’d this…wish I could be there!